Salix’s soil and river bank erosion control products and Menzi Muck Spider were essential for this work on a Network Rail embankment which was being undercut by the River Biss. Historic undermining of the toe of the embankment on one side of the track by the river posed a particular problem. Salix erosion control products selected for Network Rail works. 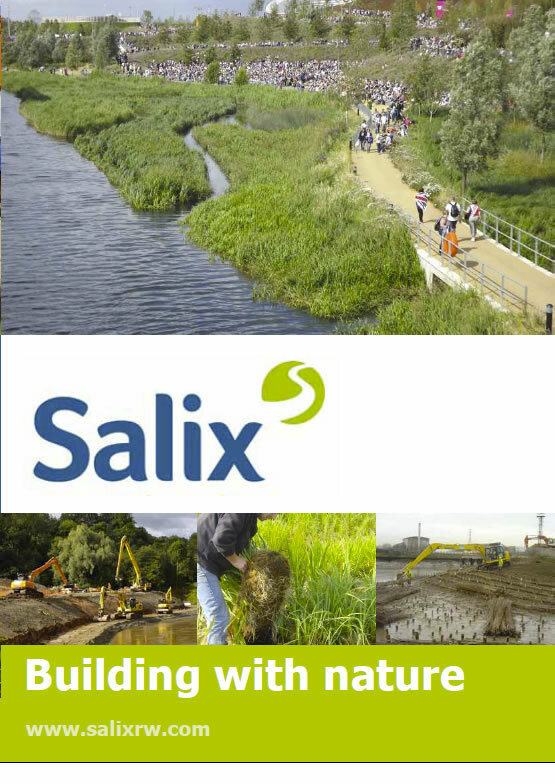 Salix were brought in by CAN Geotechnical working for Balfour Beatty Rail as specialist contractors. CAN’s works at Laurels Farm consisted of the stabilisation of both sides of a 140m length of rail embankment. Rock Mattresses were an essential component as they are flexible and easy to install. Our Menzi Muck Spider excavator also made the job easier as the access was particularly awkward. Salix’s unique mix of products, machinery and expertise meant this tricky job was easily and efficiently executed.